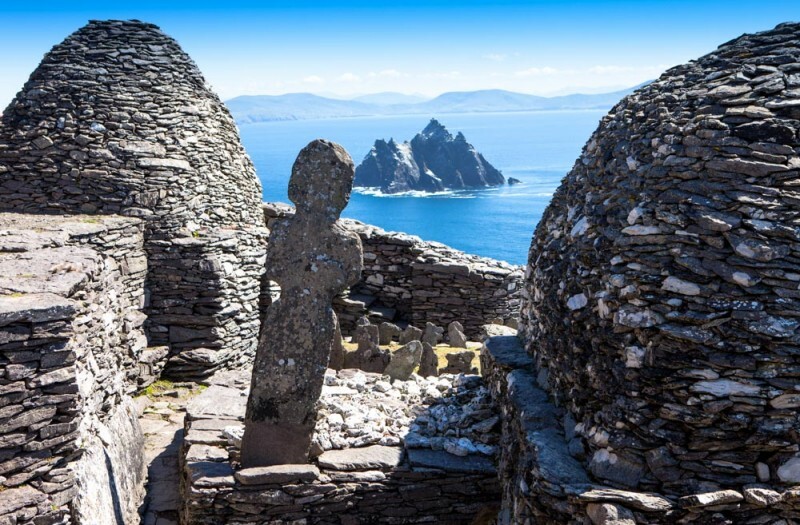 I and My partner visited the UNESCO site of the coast of Kerry known as “Skellig Michael” we were staying in the Lake Hotel in Killarney and it was recommended to us by a staff member. So we got up around 7.30am got our cameras and gear ready had a stroll to the Castle on the grounds before a big breakfast and collected our packed lunch for later. We travelled by Killorglin, Glenbeigh, Cahersiveen and on the Portmagee where we met our Captain Mr Joe Roddy seemingly a local legend. 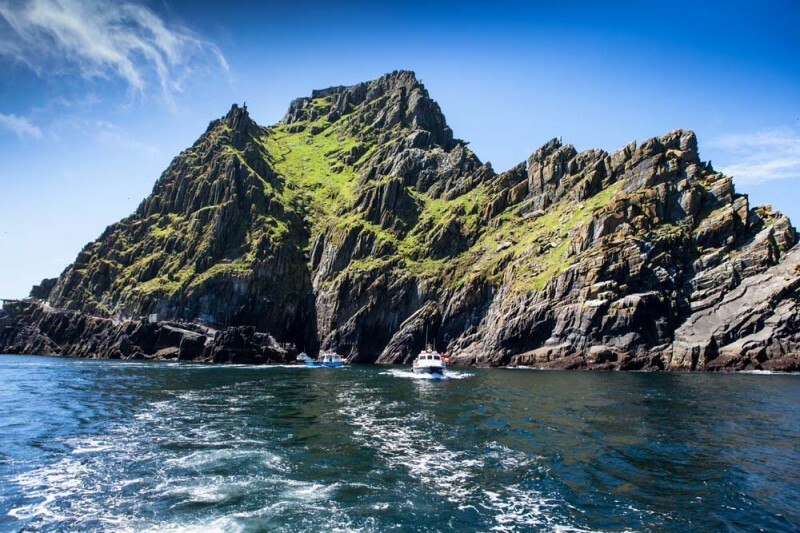 Joe took us safely to Skellig on a journey that took roughly 40 minutes, as it happens Joe was a famous Surfer, Ireland’s first Surfer and also represented Ireland in the Spearfishing Olympics in Cuba. After landing at Blind man’s Cove on Skellig Michael, we followed the path to a turn near the Light House, here we got a safety briefing on the dangers on the Rock. It’s a strenuous climb up the rock with over 800 steps. 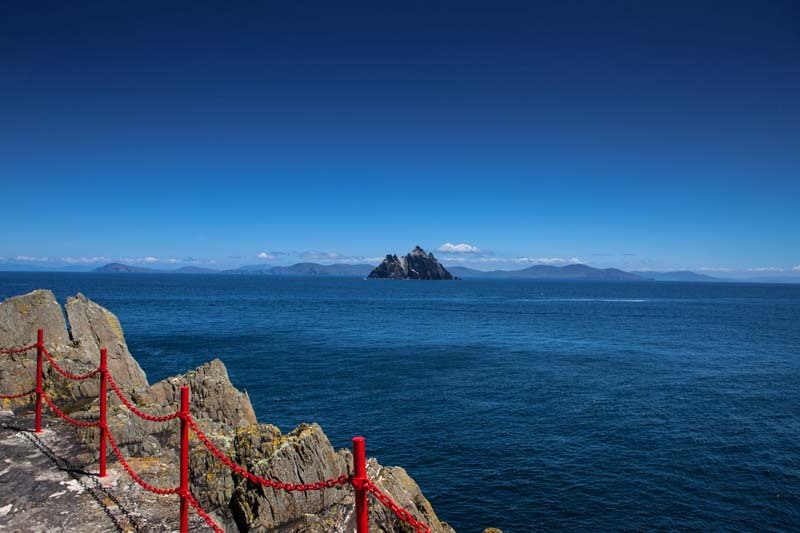 Basically, you are out in the Atlantic Ocean and the views are magnificent, you can see little Skellig and the Mainland. There were Dolphins passing and Puffins everywhere along with many other Sea Birds. This is a magnificent place but the best was to come, we reached the top wow, Ancient Monastic beehive Huts, Old burial grounds, Crosses and old pathways. This is, without doubt, the most spiritual place I have ever been, it’s just amazing, I have taken so many photos. The seas can be rough and the weather unpredictable. Visitors should wear warm clothing and carry waterproofs. Visitors should also wear appropriate footwear for the climb as the steps can be slippery, particularly in wet weather. There are no toilets on the island and travellers should be aware that the trip in its entirety can last up to 4 and a half hours. Visitors are advised to bring food and drink with them. Visitors are asked not to leave any trace of their visit on the island and to bring back any litter to the mainland where it should be disposed of responsibly. Visiting the Hermitage on the South Peak is discourages as those without climbing experience could get into difficulties. 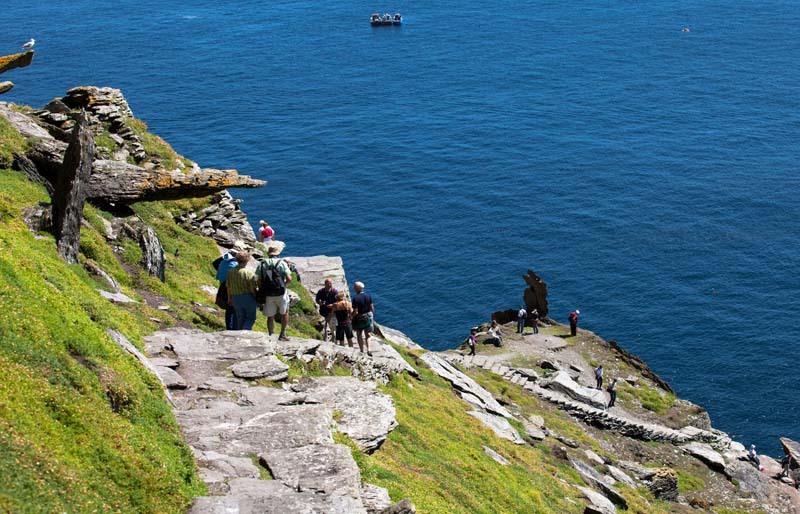 Skellig Michael is a precipitous rock and there are over 600 steps on the ascent to the monastery. Any person with health issues should consider carefully before visiting the site. Visitors are requested to give serious consideration before deciding to bring small children to the island. If young children are brought they should be under strict supervision at all times. 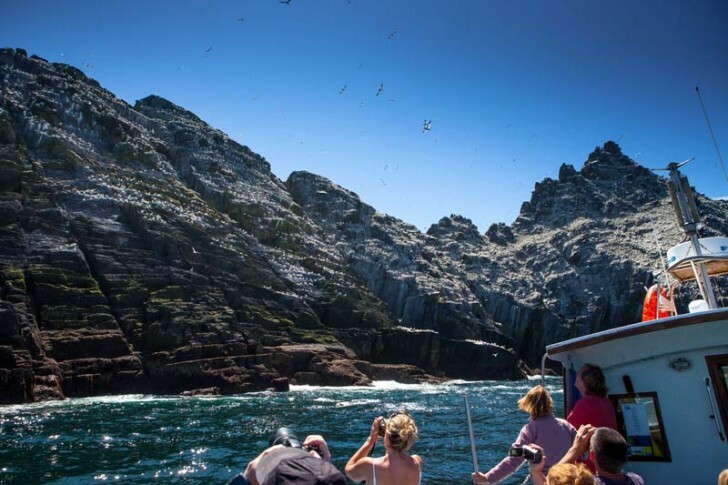 For safety reasons, and to minimise disturbance and damage to seabirds breeding habitats, visitors must remain on recognised visitor routes while on the island. In order to protect the wildlife, dogs are prohibited from the island. Visitors should comply with all Safety notices on the Island. As you can see you have to have a reasonable head for heights for Skellig Michael, it is a magnificent experience for those who get to see it. 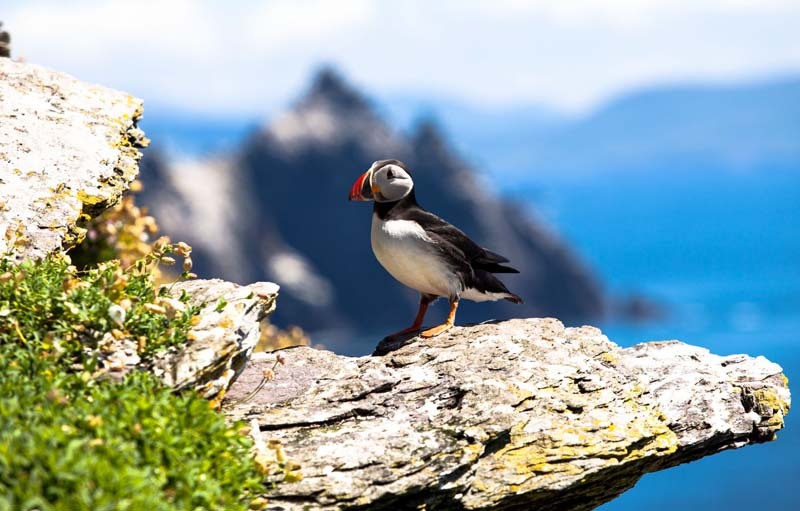 Puffins can be seen on Skelligs from April to the very start of August each year.